As this class takes place at work on our lunch break my goal is to keep the project as simple as possible with maximum WOW factor. I think this card fits that bill to a tee. I pulled out the much loved but soon to retire "Well Worn" DSP. It is a wonderful masculine set so if you like it, make sure you order by May 31st! 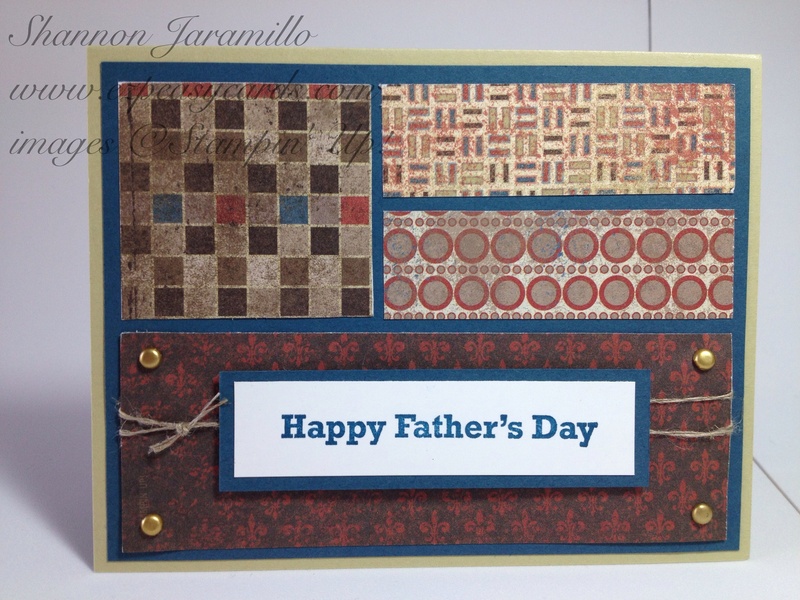 I used a retired sentiment but have options available to those in the class who don't need a father's day card to switch out the sentiment for one from the "Loving Thoughts" stamp set.